Nearly 54 billion pounds. That's the estimated volume of raw animal material (material not consumed by humans) generated each year, just in the United States. These animal by-products, along with many other materials including spent grains, bakery goods, fruits, vegetables, field crops, etc., can be used as ingredients in animal feed when thermally processed. The Vulcan® Systems Animal Feed Dryer processes up to 20 tons per hour of wet animal feed. This unique system has been designed to reduce the moisture content of feed ingredients through a direct fired rotary dryer. The inclined rotating cylinder is fitted with a combustion chamber where an industrial burner radiates heat through the chamber and down the center of the drum. The combustion chamber ensures no feedstock is scorched during the drying process. The material is then picked up by lifting flights and cascaded into the hot combustion gases. This intense mixing provides the heat required for liquid to be transformed into steam. As material progresses through the drum, more and more water is vaporized until the dried product drops onto an inclined discharge conveyor. 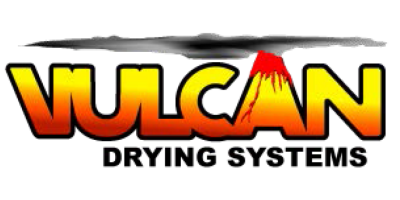 The particulate matter is controlled with a Vulcan® Wet Dust Extractor. The end product is stable, valuable, and safe-to-use while also easy to handle and transport. 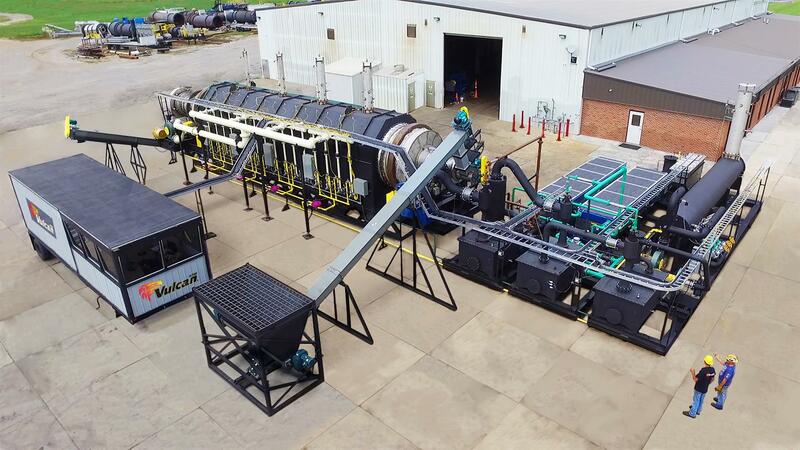 Contact Vulcan® Systems today for more information about our innovative animal feed dryer.